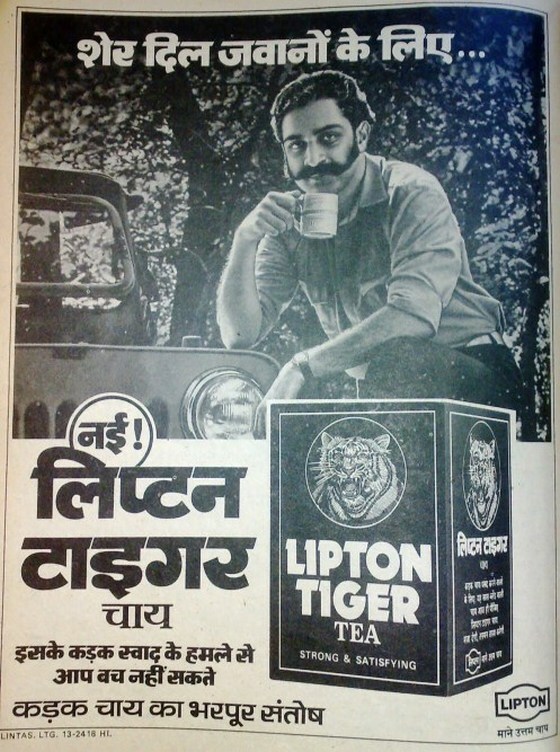 Many remember Atul Tandon as the hot Lipton Tea ‘Sher dil jawanon ke liye’ model who set a million hearts aflutter. There are others who remember him for his stints at Hindustan Lever, Bajaj Electricals, Cadbury (India) and also as Managing Director of JL Morrison (India). 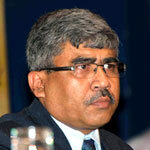 He was Mentor Professor at the Symbiosis Institute of Media and Communication till recently. 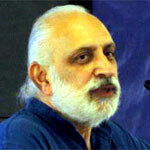 But he’s most remembered for hisÂ stint as Director of MICA (eka Mudra Institute of Communciations) from 2001 to 2009. He passed away at the airport in London on Sunday, March 1, morning due to a cardiac arrest. We invited his former colleague Chandan Chatterjee to pay this tribute. PAT is an acronym that to everyone connected with MICA translates uniquely to â€œthe man who propelled MICA on its journey to greatnessâ€ (as stated by Prof. Rajneesh Krishna). Prof A S Kulkarni had laid out a solid academic foundation during his tenure as the previous Director (of MICA) and PAT maintained that aspect while he embarked on building Brand MICA and make it an institution with a difference.The change in focus and thrust at MICA initiated by PAT since taking over as Director in the early 2000 is still visible and the rest is history. PAT was solely responsible for my getting into academics as a full-time career. Â I had been teaching a variety of marketing, strategy and process courses at several institutes of decent reputation on my spare time while working as a senior management professional. Having heard a lot about the marketing focus at MICA, I wrote to PAT and pat came the reply (pun intended) in less than 24 hours, requesting to meet him and his colleagues on campus at Ahmedabad for a chat. I got the mandate to teach Advanced Marketing Management course in July 2006. The student feedback was high (actually way higher than the average). And, then PAT got into the serious business of convincing me to shift from my IT industry job at a fraction of the salary I was getting. And, given his charisma and the vision that he had for MICA he succeeded, when I joined MICA as a Professor in November 2007. We worked closely on curriculum, delivery, academic systems and processes as initially I handled these responsibilities as the PGP Chairperson and later as Dean MICA. Over those three years, he supported the efforts to enhance the cafeteria-based offerings, supported the interested faculty members to get into detailing courses and areawise course approval processes, enhancement of the dissertation processes. In summary, working with PAT meant a whole lot of free hand and a very long rope, if any at all. PAT operated on a 50% rationality and 50% gut-feel mode on most decisions. But, he would also let anyone convinced about a better way of getting things done have a try. And, a section of faculty felt that there really was no point in trying since â€œwe were MICAâ€! It was no secret that Prof Chandan Chatterjee was a terror in our first semester at MICA. Before one such class of his, a bunch of students were found digging into their Kotlers for pre-reads. Prof Atul Tandan saw this and commented “Stop studying so hard! Go organize a festival, act in a play, go out and DO things. That’s how you’ll learn.” You don’t expect such words from the Director of a college, and that’s what made MICA a balanced, fun, open and genuinely cool place to be at. We carry that camaraderie, the spirit of working well in teams and the want to enjoy our careers from a man who ridiculously enjoyed every day of his life. Yet he would also talk to members of visiting delegations from foreign universities (and many visited) about the rigour and innovative pedagogy at MICA, citing the same â€œterrorisingâ€ act, and detail the recent enhancements in the academic systems and processes! Permitting multiple points of view to co-exist was a great trait in PAT! Prof Anita Basalingappa sums it up on her recent FB post as â€œPAT touched a chord with everyone of us irrespective of the agreements, differences and strained and comfortable relationship shared. It was hard not to get mesmerized by him.â€. It’s the mix of emotions that he generated and the love and affection simultaneously, is what made PAT unique. I am certain that many of the ideas that we discussed across the years have been implemented and made a difference. PAT was also closely associated with the turnaround that we did at SIMC Pune, where he was our Mentor Professor. The new branding approach, the inspiration behind our new logo, and positioning all have his contribution and thought built into them. In our curriculum discussions, he would always come out with forward-looking questions that would set the thinking rolling along a new path, for some specific course. And his contacts among industry professionals were simply phenomenal. I do not recall attending a meeting with PAT where he did not dazzle! I learnt a lot from PAT between 2007-10 at MICA and then again when he was a Mentor Professor for us between 2011-13 at SIMC Pune. PAT will live on through Brand MICA! And also SIMC Pune and every other academic system he has worked closely with. To me PAT was and will always be a legend and it was a privilege knowing and working with him closely. It will be huge loss to me personally! RIP PAT. Our loss will be the gain up there! R.I.P. I had crossed paths with him!